The BBC have finally officially confirmed that a new series of Only Fools and Horses is planned here are some of the facts so far. BBC Director of Entertainment Alan Yentob said, "It's been a long wait, but the best things are always worth waiting for." Most of the previous stars have signed up, so far confirmed are John Challis, Sue Holderness and Roger Lloyd-pack. 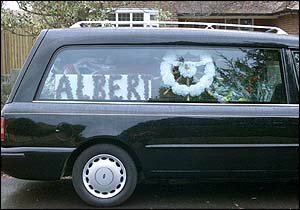 The first episode was based around Uncle Albert's funeral. 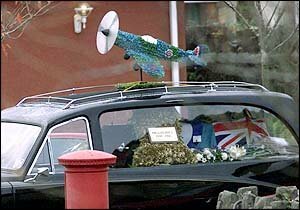 But Del Boy and Rodney will end up at another burial by mistake. Del and Rodney loose their fortune on the Central American Market. 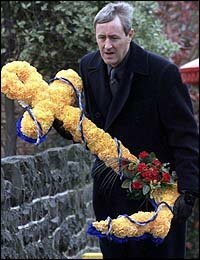 The BBC aired the first show at 21:05 on Christmas Day (25th December) 2001, then will air a further two episodes over Christmas 2002. Transmission dates for the two remaining episodes are still to be announced. Editing of the first episode finished on Christmas Eve. Del Boy was to appear on Who Wants to be a Millionaire in the new Only Fools and Horses mini series. However, this has been shelved as the BBC and ITV could not come to an agreement over the repeating of the series on ITV. Damien is played by 11 year old Benjamin Smith, Benjamin has already appeared in Holby City, The Armando Project and Second Sight. Jonathan Ross appeared as the quiz master in Goldrush, the fictional quiz in the first episode. Producers are reported to have insisted on filming more than one ending to the first episode prevent the plot being leaked. The first episode is seventy minutes long. The first episode is called "If They Could See Us Now......!" 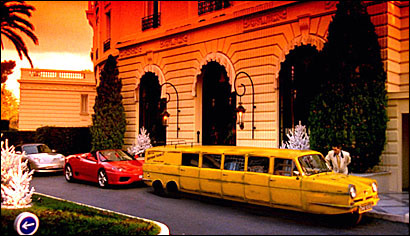 Whilst the BBC used the Reliant Robin in much of it's promotion for the Christmas 2001 episode, it was not shown in the first episode, however, the green Capri Ghia was. 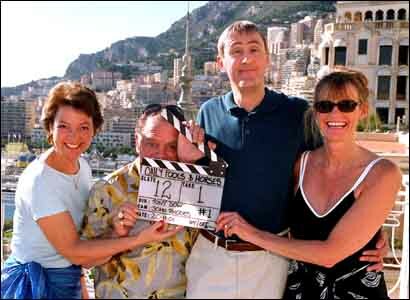 The second episode is currently being filmed in France (18th March 2002). 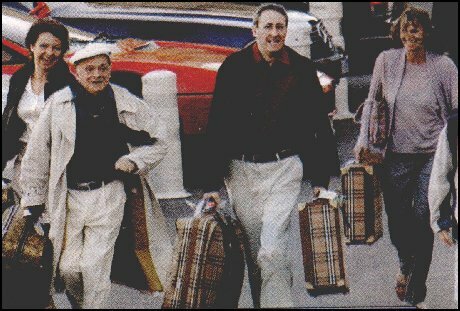 The Trotters are rumored to bring back a stowaway from France in the second episode. 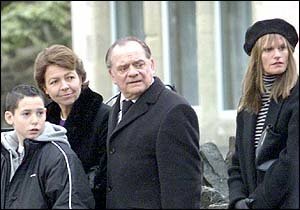 Del-Boy and Rodney discover they have different dads in the last episode. The final episodes will be called Strangers on the Shore and Sleepless in Peckham. The second episode is an old-style Only Fools and a good laugh, while the last one contains some revelations involving the family.